In our previous "weekend reading" segment, we looked at revising your manuscript. Now let's talk about what comes next -- gathering feedback. One way you can get feedback on your manuscript before submitting it to publishers or sending to the editor you've hired is to send it to beta readers. These three posts will help you figure out how you can get the most out of working with beta readers, without letting potential criticism get you down. 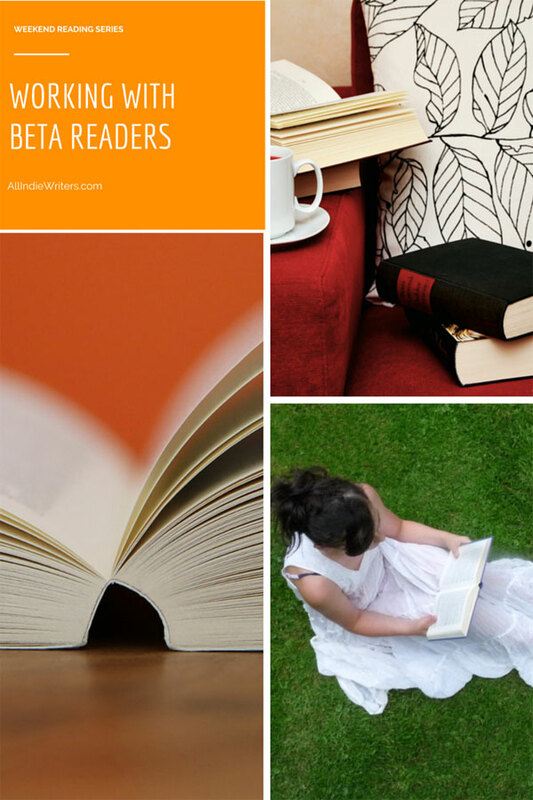 If the idea of working with beta readers is new to you, this is a good place to start. The authors explain what beta readers can do, where you can find them, and some of the "rules of engagement" that can make your experience working with them more positive. This is an even more in-depth look at building relationships with beta readers. You'll learn more about choosing the right beta readers for your book, getting your manuscript ready for beta readers, implementing the feedback you get from them, and more. This is a great post, available in both text and audio versions, to share with your future beta readers. Weiland explores some of the expectations of both authors and beta readers in this feedback process. If you're working with a first-time beta who isn't sure how to present their feedback, there are plenty of tips here for them. But, more importantly, she lets you know what's expected of you, from not taking offense to the critique you asked for to respecting your reader's time. Have you worked with beta readers? If so, where did you find them, and how would you say the process turned out? Do you have any tips to offer that aren't covered in these posts? Share them in the comments below.